Up and walked Mix before breakfast in the farmhouse. 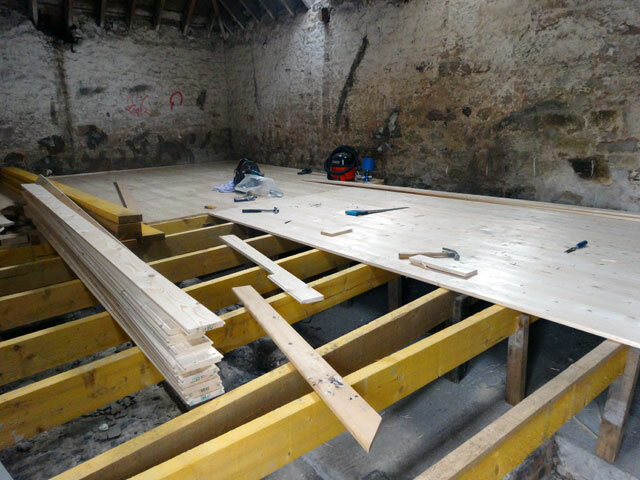 Tom arrived and we set about the big barn, completing the setting out of the beams and spending most of the morning creating the ramp which will enable folk to get from the door up to the floor which is quite raised by the time it reaches the entrance end of the barn. We were extremely pleased with our morning’s work. 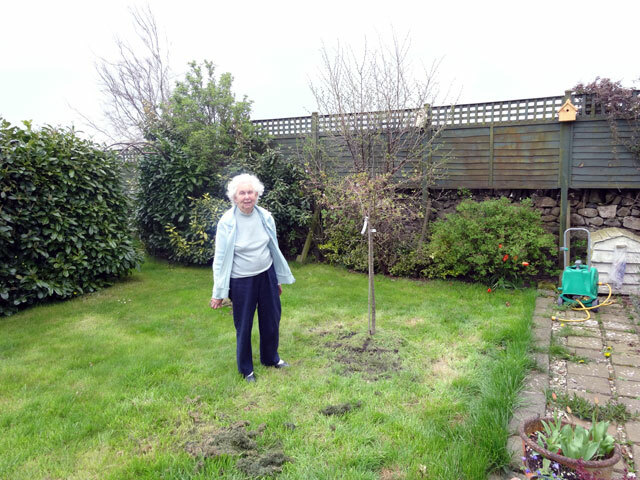 At lunchtime, while Tom was off home with Dorothy and Catriona, Rachel and I planted Mum’s tree. It looks good and Mum is pleased with it. I also listened to a bit of the Durham Somerset cricket match which unfortunately fizzled out into a draw – losing the whole of yesterday was just too much. In the afternoon Tom and I laid floorboards in the big barn. It was quite fiddly and took a long time but the result is going to be worth it. Another afternoon should see the floor complete. With half of the floor completed, I drove Tom home and then returned to quickly change and set off with Rachel for Berwick. 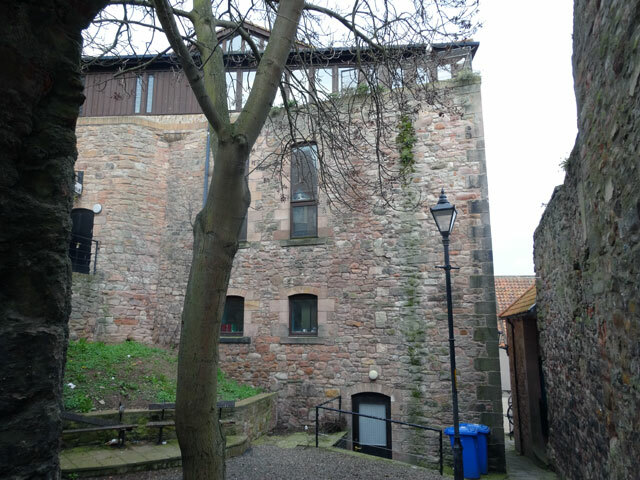 In Berwick Rachel and I went for a walk before having a drink in the Maltings Theatre and attending a streaming of Romeo and Juliette from Broadway to celebrate Shakespeare’s birthday. The play had been presented at the Richard Rogers Theatre in New York with an excellent cast. The ‘star’ – there to bring in the audiences I suspect – was Orlando Bloom but in many ways it was the rest of the cast who shone: Condola Rashad was magical as Juliette, Brent Carver (Friar Lawrence), Jayne Houdyshell (Nurse), Chuck Cooper (Capulet) and Geoffrey Owens (Escalus) were all outstanding – dominating the stage, drawing all eyes to their performances and making Shakespeare live. The audience in New York clearly enjoyed the production, I was so glad that we were able to share in it as well. On the way home we stopped for (in my case) fishcakes and chips and once home it was time to get ready for my trip to Glasgow tomorrow, to walk Mix and to go to bed.